Do you love the minimalist style? 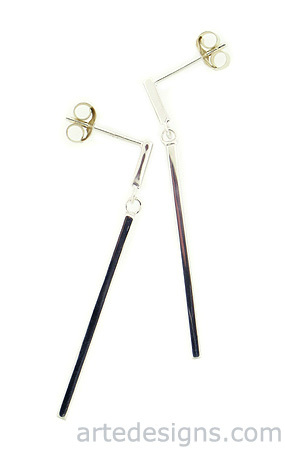 These earrings are slinky and thin, but modern and light-catching at the same time. Who says minimalists have to be boring? Approximately 1.5 inches long. Entire earring is sterling silver.